In today’s digital economy, automation of tasks and faster time-to-market is a critical value to businesses. 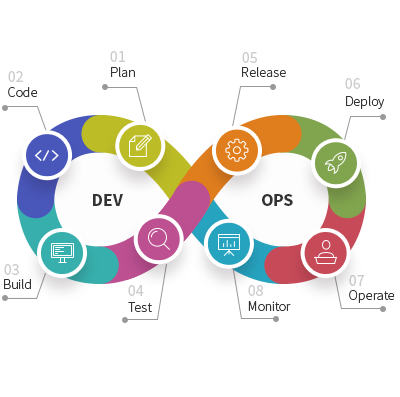 Leveraging DevOps helps businesses to accelerate software development and release with automation and agile delivery mechanism. We at Diaspark, rapidly build and deliver applications using these best-practices of DevOps. Our DevOps services ensure faster deliveries of applications by facilitating collaboration, automation and integration resulting in improved operational performances. Our DevOps Strategy & Assessment services audit existing infrastructure and practice and then chart down a roadmap along with outlining areas for automation. This step is followed by an assessment of the current setup. We chalk down an automation plan to automate your workflows and delivery pipeline for increased productivity. Our DevOps Managed Services ensure continuous monitoring and delivery of applications along with process management, release management, security management to eliminate errors and possibilities of failing systems. Write to us, We’d love to hear about your needs.